Daniel Schneider received his PhD in Sociology and Social Policy from Princeton University in 2012. He is currently a Robert Wood Johnson Postdoctoral Scholar in Health Policy Research at UC-Berkeley/UCSF. Daniel’s paper, “Gender Deviance and Household Work: The Role of Occupation,” won the 2012 James D. Thompson Award from the Organizations, Occupations, and Work section of the American Sociological Association and was recently published in the American Journal of Sociology. The following is the text of an interview recently conducted with Daniel by Kate Kellogg, an Associate Professor of Organization Studies at MIT. Kate Kellogg: What are your general research interests, and what led you to explore the specific question of gender deviance? Daniel Schneider: My research is at the intersection of family and inequality. My work looks at how inequality structures the formation of families and how gender inequalities then play out within those families. So, for instance, some of my work has looked at how differentials in wealth by race and education shape differential entry into marriage. But, other research looks at how families then perpetuate inequality and serve as sites for unequal practices. This work taps into that second vein, looking at how economic resources and engagement in the market economy matters differently for men and women in the household. More specifically, this project engages with an existing literature on how men’s and women’s relative economic resources shape housework time. Kate Kellogg: Can you say a little bit about the behind-the-scenes’ trials and tribulations of your research process? Andras Tilcsik is a Ph.D. candidate in Organizational Behavior at Harvard University. 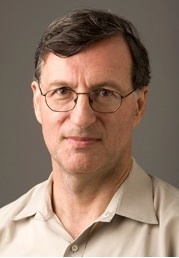 His paper, “Pride and Prejudice: Employment Discrimination against Openly Gay Men in the United States” won the 2011 James D. Thompson Award from the Organizations, Occupations, and Work section of the American Sociological Association and was recently published in the American Journal of Sociology. The following (after the jump) is the text of an interview recently conducted with Andras by Rachel Gorab, a Ph.D. student in the sociology program at Northeastern University.